The comment is not saved. 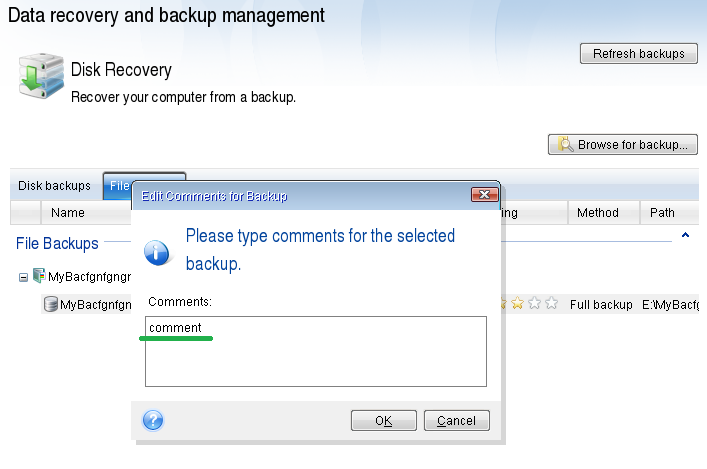 Currently the backup comments can only be saved when running the product in Windows. See Acronis True Image 2014.